I have fond memories of Lego. Whether it was my mum stepping on pieces I'd left on the living room floor, or ruining my brother's spaceship by putting bunches of flowers on the launchpad, Lego was a huge part of my childhood. The Lego man has gone on to be a design classic in its own right. Now I want to make chocolate Lego men. 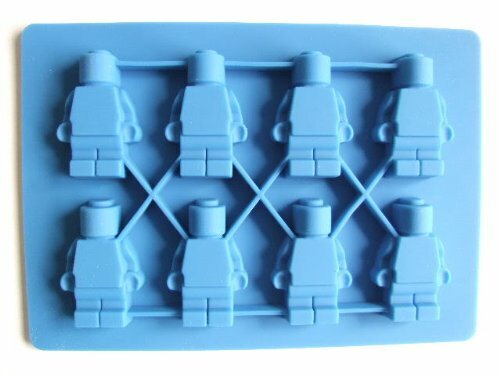 Or ice cube Lego men. Or maybe even toffee Lego men. The Lego mould is £8.99 from Amazon and I've also got my eye on this Pacman mould. Who wouldn't want chocolate Blinky and Inkys? Silly people, that's who. Yep, these are definitely missing from my life! I love mine! I recommend buying at least 2x trays. Although with lots of them bobbing around melting in your drink it can seem a bit... dark.